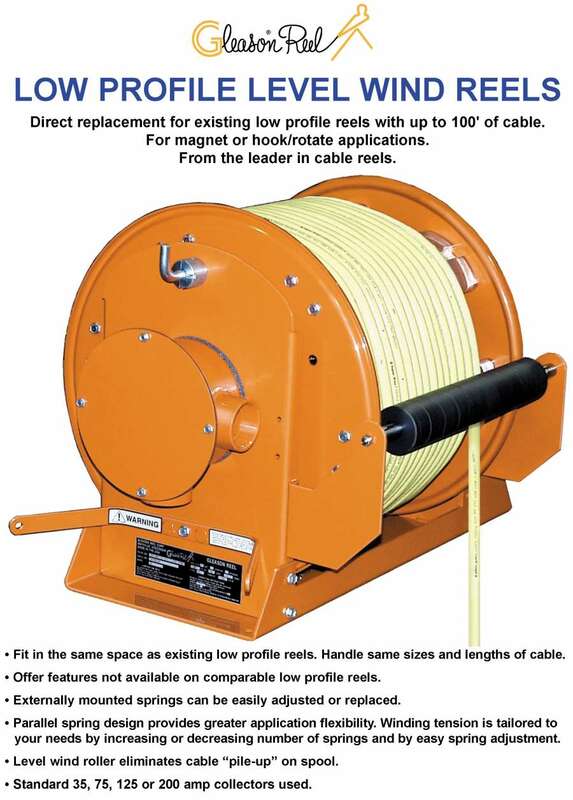 Direct replacement for existing low profile reels with up to 100' of cable. Ideal for magnet and hook/rotate crane applications. 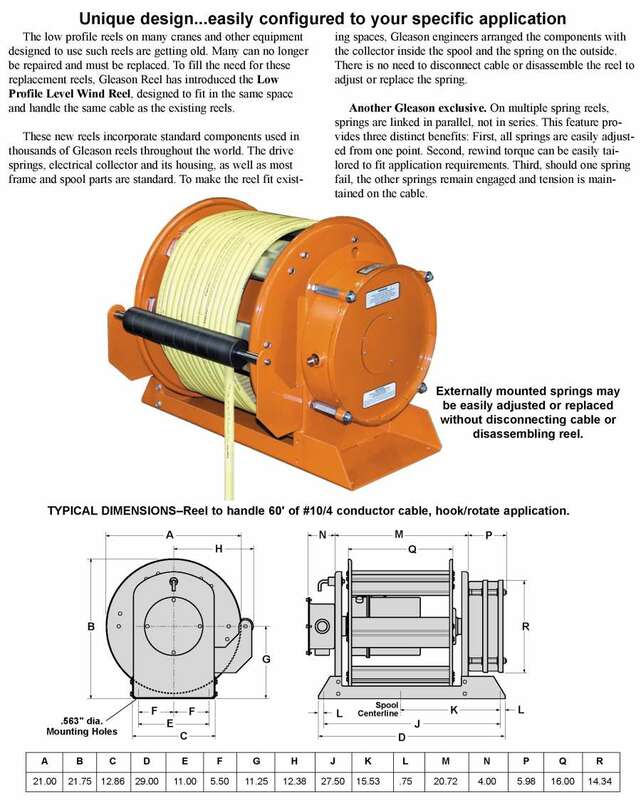 Feature easily adjusted, externally mounted springs... no need to remove cable from spool or disassemble reel to adjust or replace drive springs. Available with 35, 75, 125 or 200 amp collector.